You Can Make a Difference for Our School with Box Tops! Clip Box Top coupons from favorite products and send them to our school. Shop at your favorite online stores through the Box Tops MarketplaceSM (https://www.boxtops4education.com/card-linked-offers/retailers), and up to 8% of your qualifying purchase will automatically be donated to our school with no additional cost to you! Purchase books through the Box Tops Reading RoomSM at Barnes & Noble. 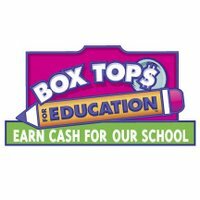 Sign up to support our school at the Box Tops website (https://www.boxtops4education.com). You’ll get updates on our school’s Box Tops earnings, money-saving coupons, family-pleasing recipes, chances to win Bonus Box Tops for our school and the latest Box Tops news! For more information on how you can help our school earn cash through Box Tops for Education, contact Crystal Garcia, our Box Tops coordinator, at volunteer@yoshikai.org or visit btfe.com. Shoparoo is fundraising made easy: turn pictures of your everyday shopping receipts into cash donations and sweepstakes entries for our school with this free app. Yep, it’s that simple. There’s no limit to how much money we can raise with Shoparoo – the more supporters, the more we will raise for our school. Also, each of our first 20 participants will earn a guaranteed $1 donation from Shoparoo for their first receipt! Check out shoparoo.com to learn more about this awesome hassle-free program. The easy way to recycle! Please donate your Oregon 5 cent deposit cans and plastic water or soda bottles to support your local school’s un-funded education programs by dropping them into the “LITTLE RED SCHOOL HOUSE” located in front of all neighborhood Roth’s stores. All proceeds are donated to local area schools.